Kissing and hugging don’t spread HIV – IGNORANCE does ! What is HIV and where did it come from? The human immunodeficiency syndrome is a virus that gradually attacks the human immune system which leads to the inability of the body to naturally defend itself from illness and infections. It is believed that the HIV virus is a mutation from SIV (simian immunodeficiency virus) originating from chimpanzees. AIDS or acquired immunodeficiency syndrome is the last stage of the HIV virus where the human immune system is too weak to fight off any infection. How can HIV be spread? What should we be doing on World AIDS Day? World AIDS Day is an opportunity to show support to and solidarity with the millions of people living with HIV. 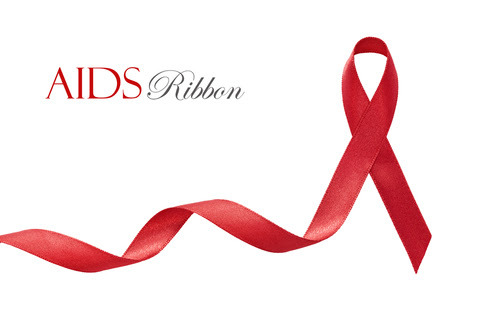 Wearing a red ribbon is one simple way to do this. Another very important way is to seek a charity or organization that helps in the research for HIV/AIDS therapy and make a donation.